Get a Teacher Involved: Playschools in India train their teachers on how to handle crying and/or nervous kids. Teachers are warm, caring, and experienced, but since they are meeting these kids for the first time, it’s advised that parents brief them with necessary information about their children to help them and their child get to know each other better. Avoid Comparing Your Child to Others: Parents should not compare your toddler with others. After all, kids are unique and have different talents, interests and development phases. Comparing your child to others will unnecessarily stress your child out. That’s why a reliable preschool in India advises parents to spend some quality time with their child to know if something is bothering him/her, which is negatively affecting their overall performance. Plan more social activities: In a preschool, children of the same age group will – more often than not – hang out with each other. If your child doesn’t spend much time with other kids, then talking and playing together with them can be very difficult. In a preschool in India, teachers are trained to help children of the same age group play together by arranging play dates. Come up with a goodbye ritual: During the first few days, allow extra time to get your child ready for school. Things should be calmer at home to make the separation easier to handle. While going to drop your child at preschool, conduct a goodbye ritual and do it regularly – after a while, he'll learn to do the same. 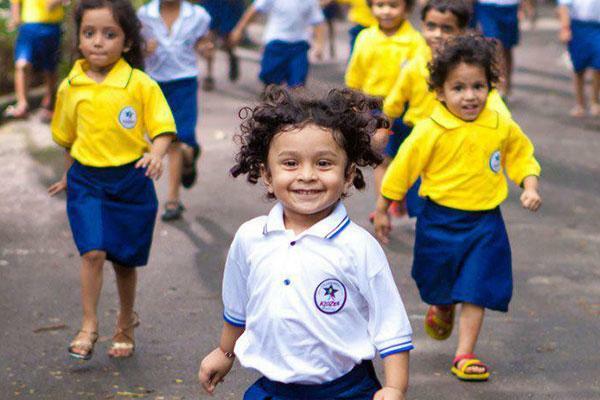 Put on a happy face: Separation is not that easy for you either, but parents must be supportive and motivate their children to go to a preschool in India when the time comes. If your tone’s upbeat and you seem confident, your child will have a good time in school as well.